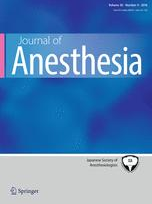 An anesthesia journal has retracted a paper after an author admitted that the study did not obtain appropriate consent from patients receiving a neuromuscular block in muscles on the face and hands. The first author, Yuhji Saitoh, has the same name as a co-author of Yoshitaka Fujii, the all-time record holder with 183 retractions listed on our leaderboard. Thirty-six of those retracted papers include a co-author with the name of Yuhji Saitoh, but we were unable to confirm this is the same person listed on the newly retracted paper. The article published in Volume 26, Issue 1, pages 28–33, DOI 10.1007/s00540-011-1262-9 has been retracted as a result of notice received from the author, that the study described in the article was undertaken without appropriate patient consent. The Editor-in-Chief has therefore determined that the article failed to meet the ethical standards required by the Journal. Accordingly, the Editor-in-Chief has decided to retract the article. The 2011 paper, “Assessment of neuromuscular block at the orbicularis oris, corrugator supercilii, and adductor pollicis muscles,” has so far been cited once, according to Thomson Reuters Web of Science. The ethics committee of Tsujinaka Hospital Kashiwanoha approved the protocol of this open-label, randomized controlled trial, and all patients gave their written informed consent. We’ve reached out to the Tokyo Women’s Medical University in Shinjuku, Japan, the listed affiliation for the first and last authors. We also tried to contact Saitoh and penultimate author Yoshinori Nakata, but both their emails bounced. We called Tsujinaka Hospital Kashiwanoha, but were limited by our inability to speak Japanese, and couldn’t reach anyone who could speak about the case. The third author of the newly retracted paper — Tsutomu Oshima — has the same name as another co-author of Fujii’s, appearing on two of his previously pulled papers. However, like Saitoh, we’ve been unable to confirm if Oshima was a previous co-author of Fujii’s. We’ll update the post with anything else we learn.